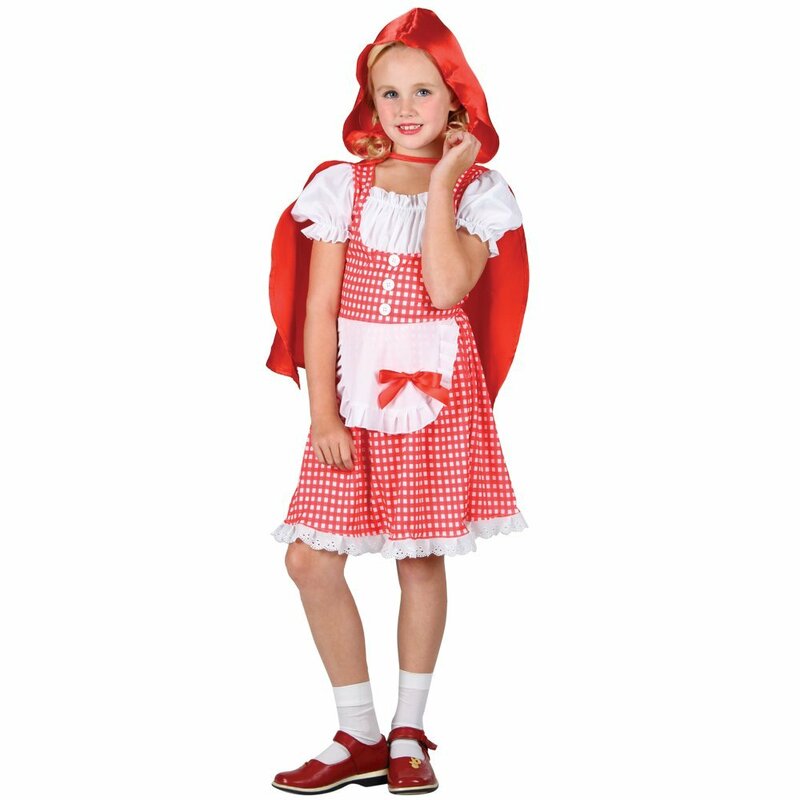 Storybook Little Red Riding Hood Kids Costume. Includes dress with attached ruffled shirt effect, attached apron with bow and hooded cape. Shoes and socks NOT included. Size/Age Size Information 3 - 4 years Height 110-122cm | Chest 61cm | Waist 57cm. 5 - 7 years Height 122-134cm | Chest 67cm | Waist 60cm. 8 - 10 years Height 134-146cm | Chest 73cm | Waist 63cm.